Experience the best of Wanaka’s beautiful nature in a single day trip via four-wheel drive, lake cruise, and island walk. 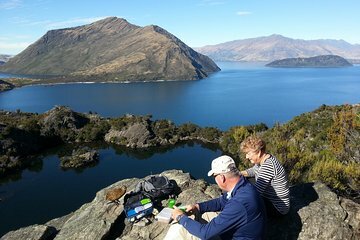 Gain exclusive access to private roads on the 4WD safari, and spot rare bird life on Mou Wahou Island, in the middle of Lake Wanaka, with the help of your expert guide. This is two action-packed tours in one, for maximum fun.